Under Michigan law, non-economic damages are those losses that affect a person’s quality of life. They include pain and suffering, incapacity, disability, loss of function, diminished social pleasure and enjoyment, mental anguish and emotional distress, scarring and disfigurement, and so forth. In Kreiner v Fischer, 471 Mich 109 (2004), the Michigan Supreme Court significantly restricted the type of injuries that can qualify as a “serious impairment of body function.” The Court held that the injured person’s normal life before the accident must be compared with his or her life after the accident in order to determine if the injury resulted in a change in the “course or trajectory” of the injured person’s life. 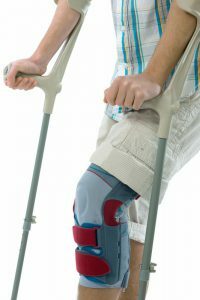 Although the Kreiner case affirmed that the injured person need not prove a permanent injury or a permanent disability, it created what many believed was an unduly restrictive definition of the “serious impairment of body function” threshold. Clearly, the McCormick decision made the “serious impairment of body function” threshold less restrictive. However, the real impact of the McCormick decision remains unknown until the Michigan appellate courts have sufficient time to apply its principles. non-economic damages are not recoverable if the injured person is more than 50% comparatively negligent. injured persons are precluded from recovering non-economic damages if they were driving an uninsured motor vehicle at the time of the accident which was owned by the injured person. In assessing claims for non-economic loss, it is important for Michigan car accident lawyers to thoroughly evaluate and compare the conduct of the victim and the other driver, and to determine whether the victim complied with the state’s mandatory no-fault insurance requirements.